Shows » Do Crows Sing? It’s been said that if someone knows only three birds, one of them will be the crow. They’re common, easy to see, and even easier to hear. But crow voices are complicated. Altogether, crows may use 30 sound elements in different combinations, and one of the most intriguing is their song. 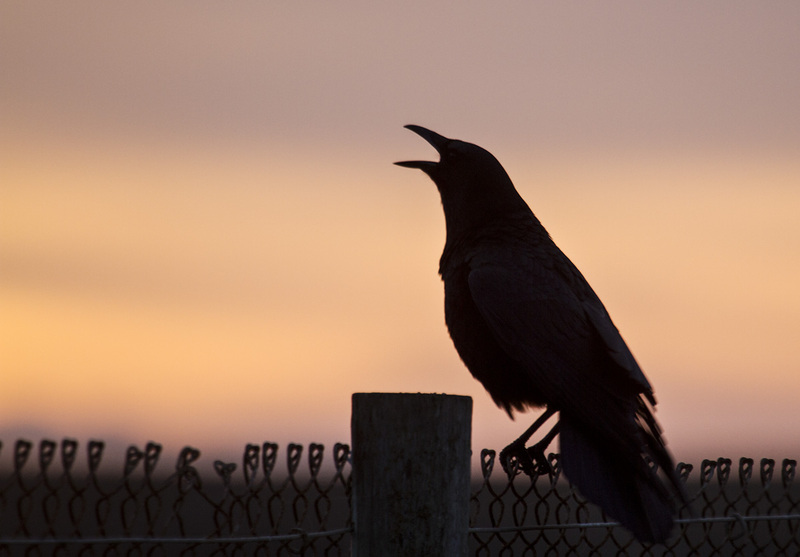 Unlike many birds, crows don’t sing loudly to attract mates from a distance. Instead, they sing softly — and at close range — during courtship, with a mix of soft cooing, rattles, growls, bowing movements, and mutual nuzzling. It’s been said that if someone knows only three birds, one of them will be the crow. It's common, easy to see, and even easier to hear. 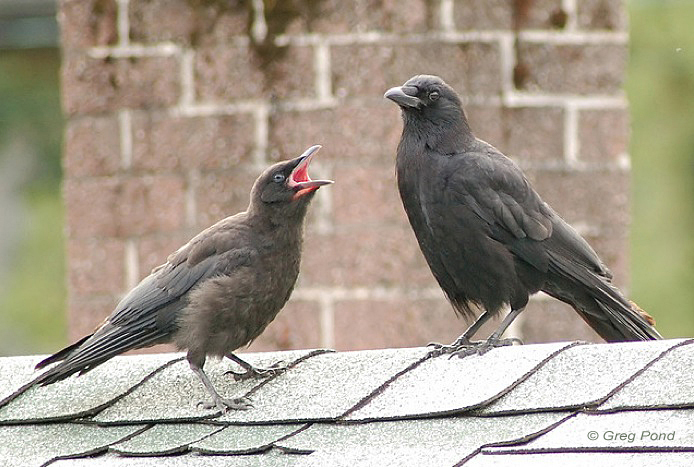 But it turns out, crow voices are very complicated. 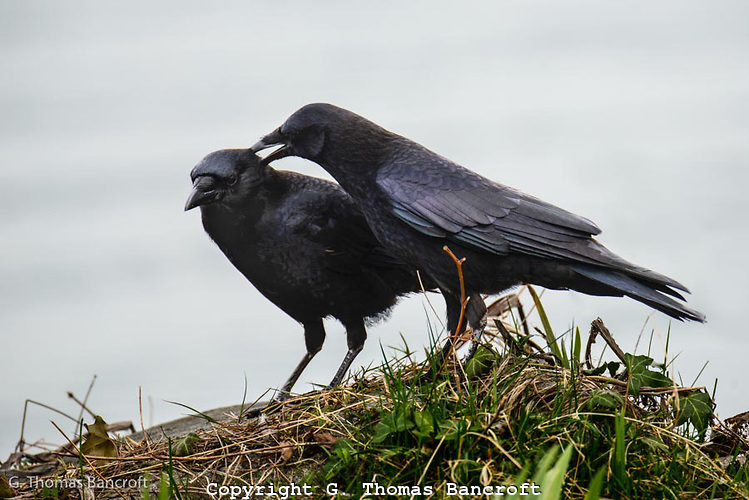 Altogether, crows may use 30 different sound elements in different combinations, and one of the most intriguing is their song. And a crow’s song is particular to its social group. 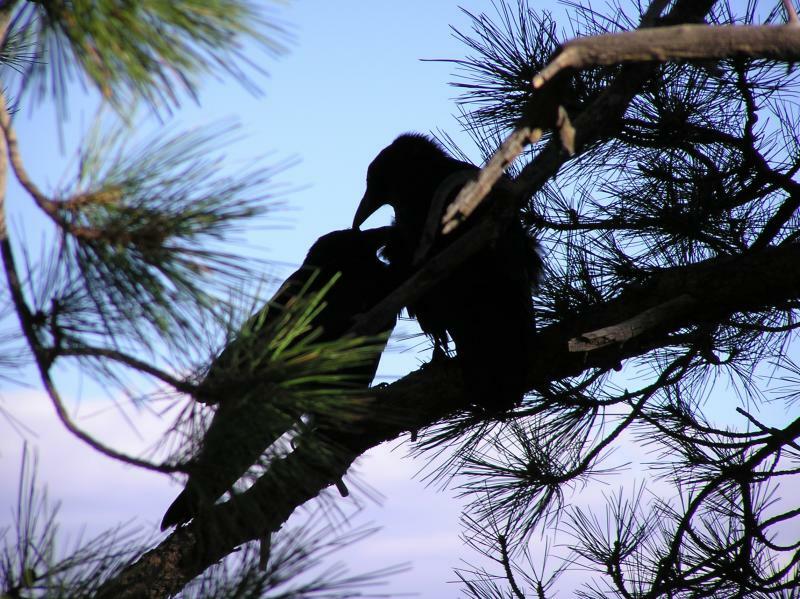 Studies of captive groups showed that each group develops distinctive sound elements, that become a kind of cultural tradition — a dialect — which crows use to recognize one another. So even if someone knows only three birds, as long as one of them is the crow, there will always be something new to learn. BirdNote writers include Bob Sundstrom, Todd Peterson, Dennis Paulson, Ellen Black-stone and Chris Peterson. Bird sounds provided by The Macaulay Library of Natural Sounds at the Cornell Lab of Ornithology, Ithaca, New York. 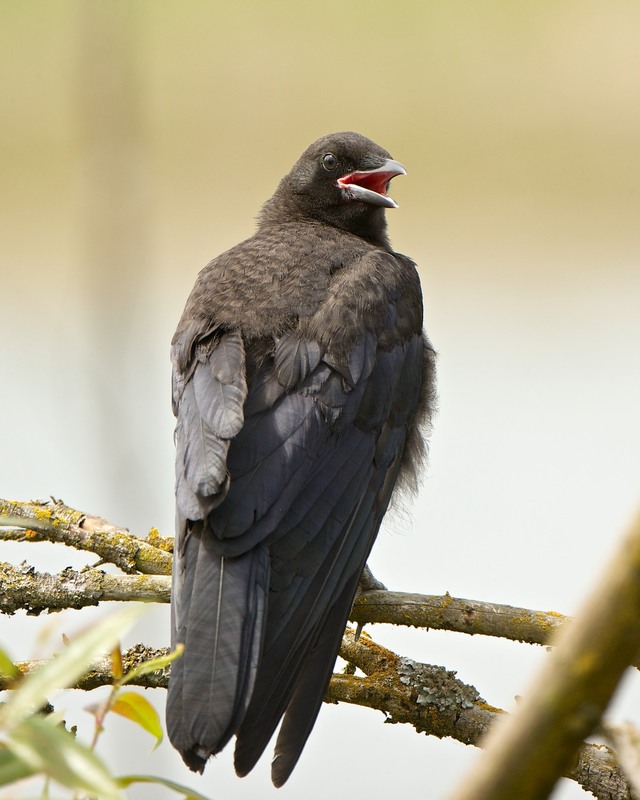 American Crow calling ; song / 'coo-ing' : http://miracleofnature.org/blog/american-crow-cooing] recorded by W L Hershberger. nuzzling and coo-ing [82044} recorded by Eleanor D Brown. © 2015 Tune In to Nature.org May 2018 Narrator: Michael Stein. Amazon: John M. Marzluff and Tony Angell, In the Company of Crows and Ravens.